In our new location guide series, we will be taking a look at some of the most interesting and exciting places around Cornwall. Crantock Beach is located in Newquay on the north coast of Cornwall, and as well as being a gorgeous location it also hides a romantic secret. Read on to discover more about this fantastic spot. 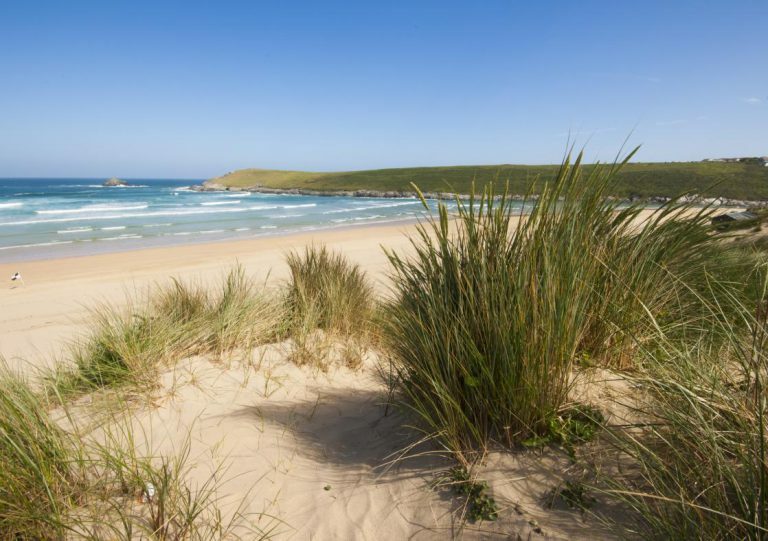 A stretch of golden sand framed by impressive dunes, Crantock Beach is suited to an array of beach activities. The sand is ideal for building sandcastles and is also very soft, making it the perfect place to head for a seaside stroll. The surf is typically excellent at this beach, and with surfboard hire and lessons available here, it doesn’t matter if you have never surfed before or do not have any boards with you! Other water sports such as snorkelling, swimming, wind-surfing and canoeing are also very popular here. For those visiting between May and September, there will be lifeguard cover on the beach, allowing you to partake in such seaside activities with extra safety. 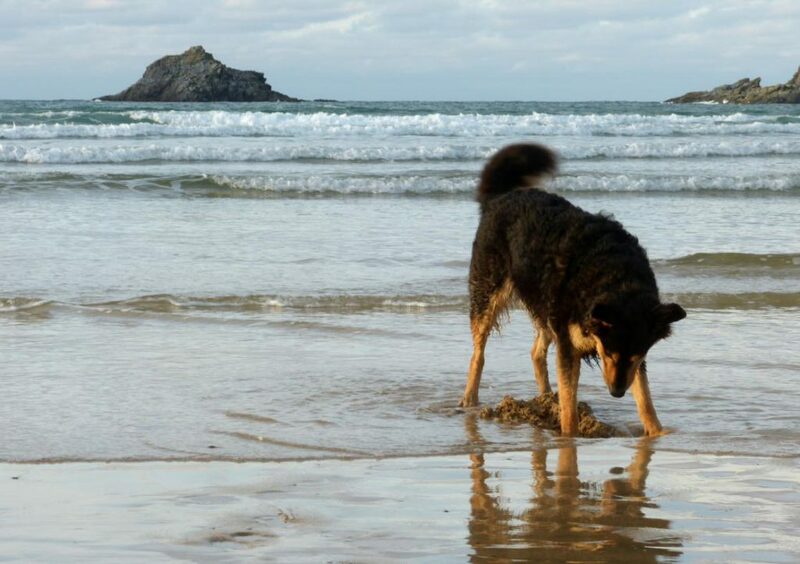 With no restrictions in place for dogs, Crantock is also the perfect place for walkies with your pup, especially with a variety of walking routes in the area. Perfect for a full day out on the beach, the area is equipped with toilets, a café for refreshments and parking for up to 150 cars! Owned by the National Trust, parking will be free for members. As with many locations in Cornwall, myth and legend has long surrounded one area of this beach. At the far end of the beach sit a series of small caves that are hidden within the cliff walls. These caves are only accessible when the tide is low, and they can quickly get cut off as the tide rises. While rumours of carvings in these caves have long been whispered in the local area, recent photos of the mysterious carvings have proven their existence and shared the sad tale with the world. 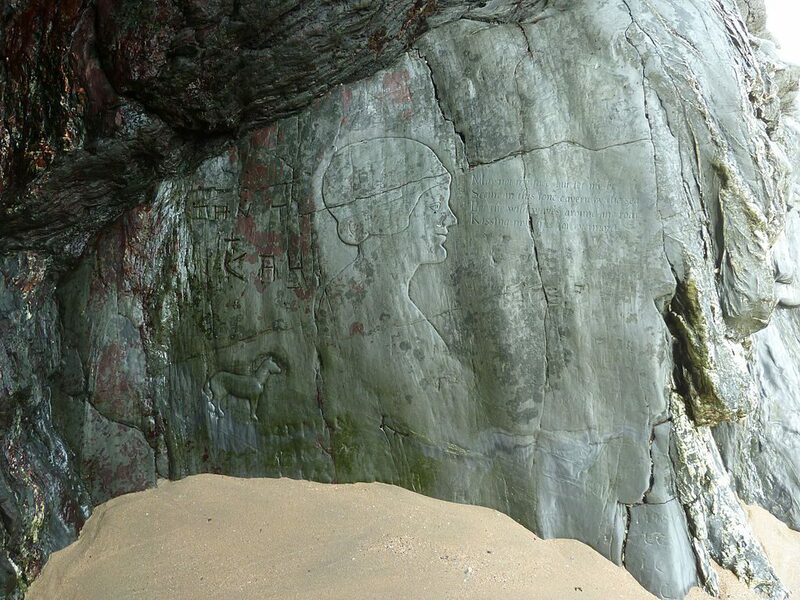 While the caves on Crantock Beach are accessible, and the carvings can be located, extreme caution is advised, as the story itself warns of the dangers of the tides here. If you would like to explore Crantock Beach or any of the other incredible coastal locations in Cornwall, then our luxury Cornish cottages act as the perfect base for your adventures!